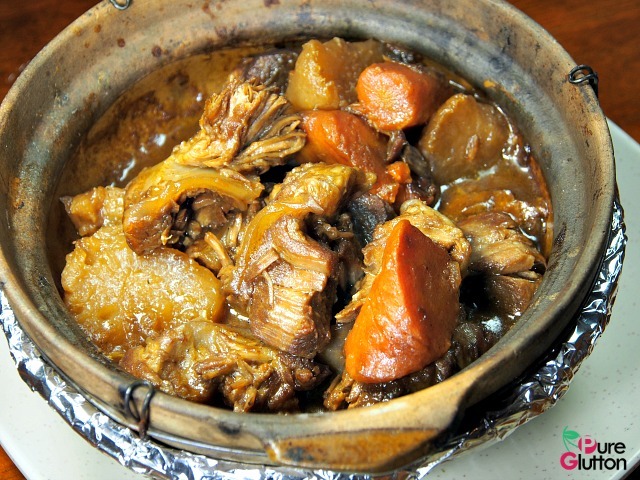 Master Chef Kitchen – HK roasts, polo buns & kai tan chai! 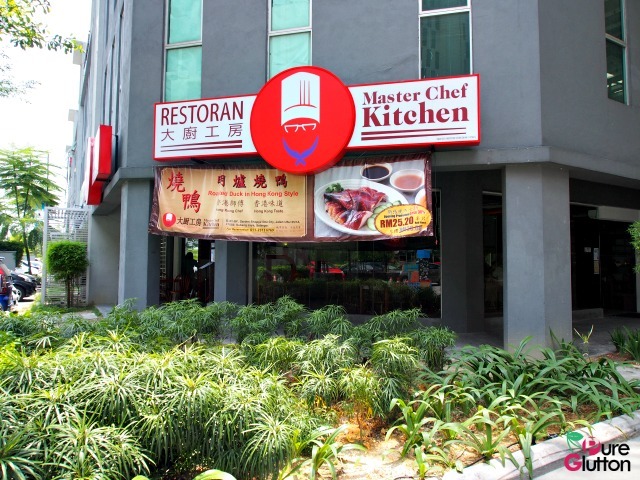 Located in an outer building that’s part of the OneCity complex in Subang Jaya, Master Chef Kitchen is pretty visible with its big red-and-white signboard with the chef hat logo. It’s quite hard to miss, if you know which building to look for, within the sprawling OneCity development. 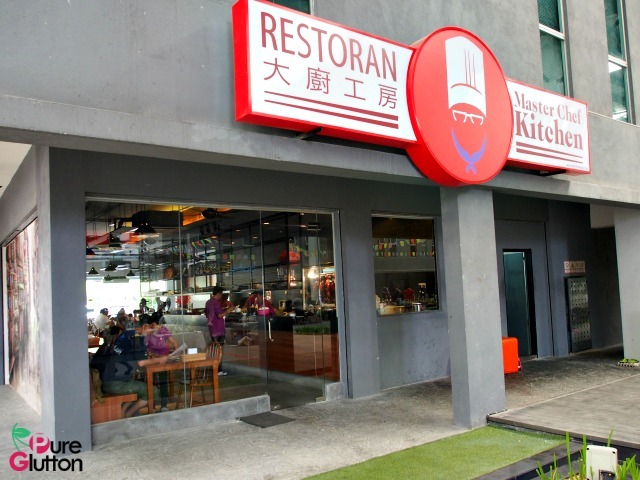 Master Chef Kitchen is fashioned like a casual cafe serving Hong Kong-style roast meats served with rice and noodles. 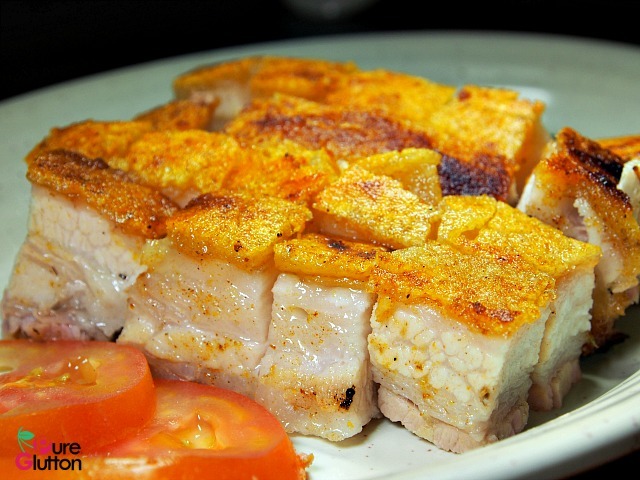 It also does a host of other simple Chinese dishes that go with rice. Most of the dishes lean towards Hong Kong theme as Chef Chan is from HK. If you’ve not tried Beef Cha Siew before, then you should. Master Chef Kitchen’s beef cha siew is an award-winning item, gaining recognition in a Muslim Food Competition. 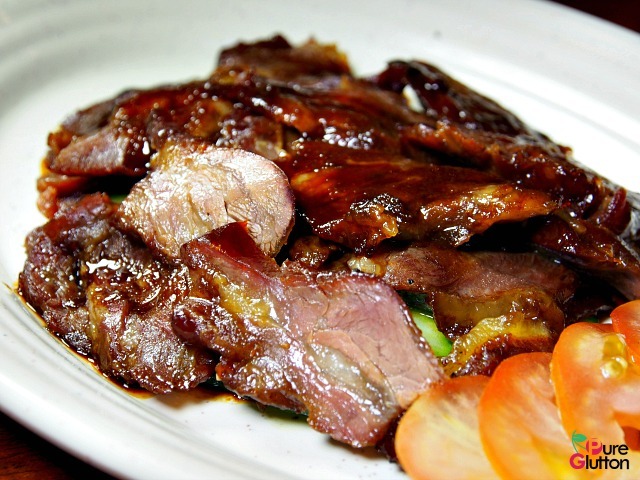 The marbled tender beef cut is tasty with the signature cha siew marinade which still leaves a bit of room for the natural bovine flavour to bloom through. 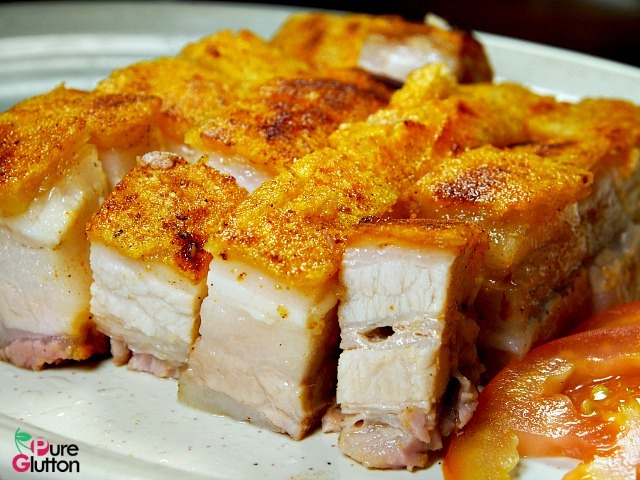 The golden-skinned Roast Pork here is to die-for. The perfect layering of fats and leans is so drool-worthy that the we almost wanted to order another plate. But then we spied their Roast Duck (whole RM68/half RM38) and held back on the pork. 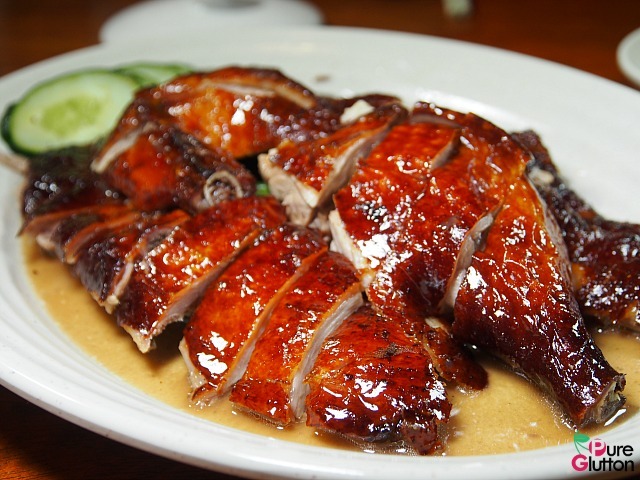 Only local ducks are used as they are leaner and the meat tastier. 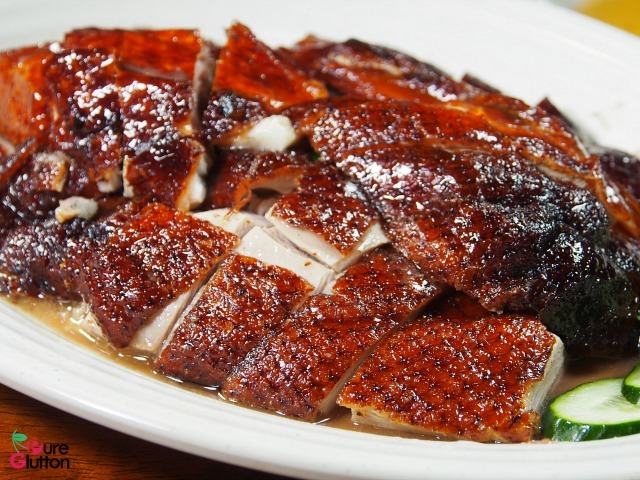 The crispy glistening skin had us munching the well-roasted duck in glee and vowed we’d be back for this. 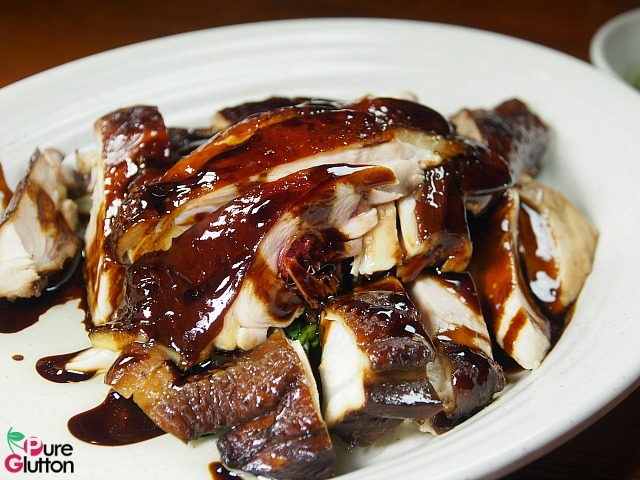 If you’re not into red meats, then try the Longjing Tea Smoked Chicken (whole RM50). Longjing is a green tea from Hangzhou and its fragrance is unmistakable in the plump chicken despite the thick sauce slathered onto it. Owner Eric Teong reminded us to eat the chicken with the accompanying dip of ginger, spring onions and coriander leaves. Surprisingly, the Wantan Mee here is not HK-style. 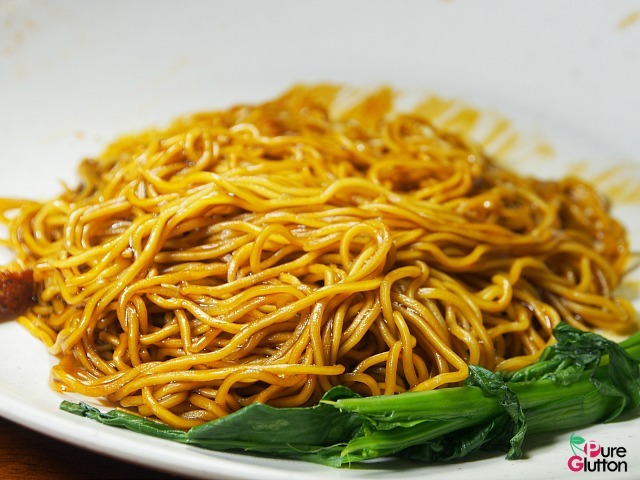 It’s more like the local style, tossed with thick dark soya sauce. 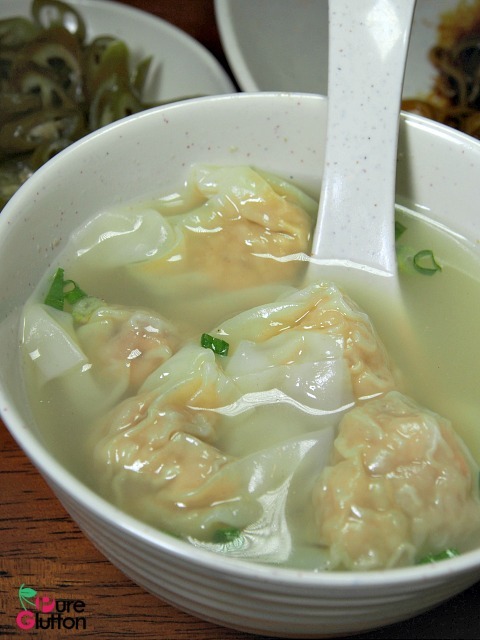 The wantans are huge, bursting with minced pork and prawn fillings. 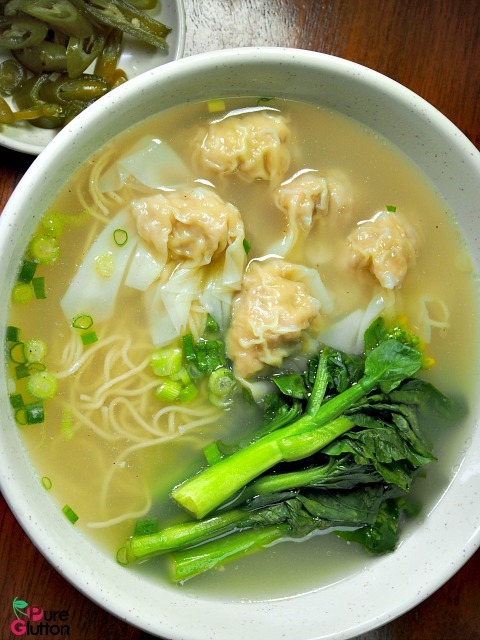 The restaurant runs Lunch Sets offering meals from RM9.90 to RM15.00 depending on rice or noodle items. 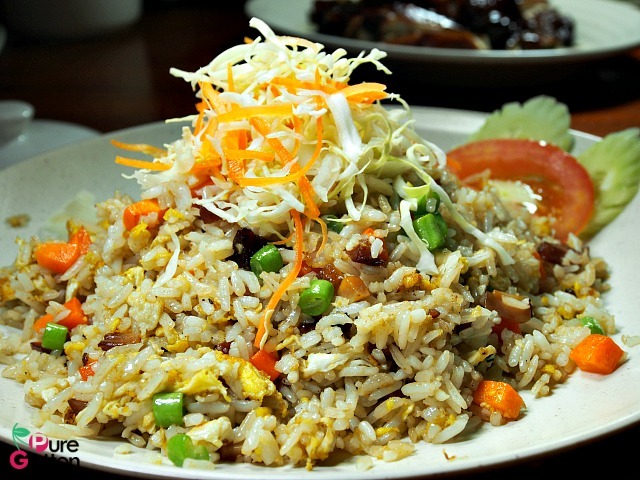 For dinner, Master Chef Kitchen offers affordable dishes that go with rice. Chicken dishes are from RM13, Fish from RM15 while Eggs and Vegetables go for RM10-RM12. We checked out several dishes from these categories and find they are pretty substantial. 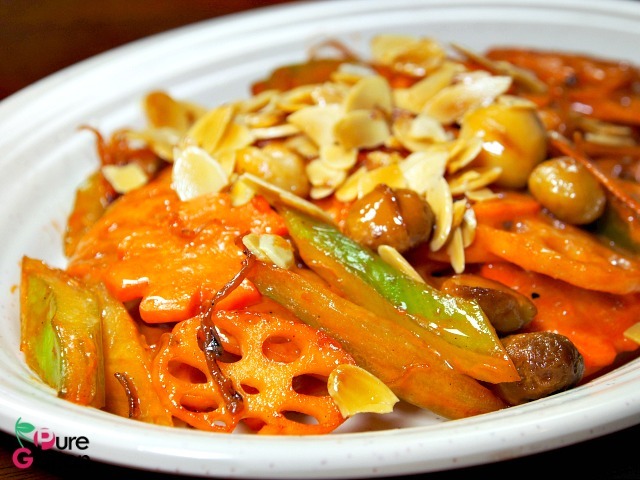 The Stir-fry Lotus Root with Celery, Almonds and Macadamia have a tinge of red due to the addition of fermented beancurd (“nam yue”). 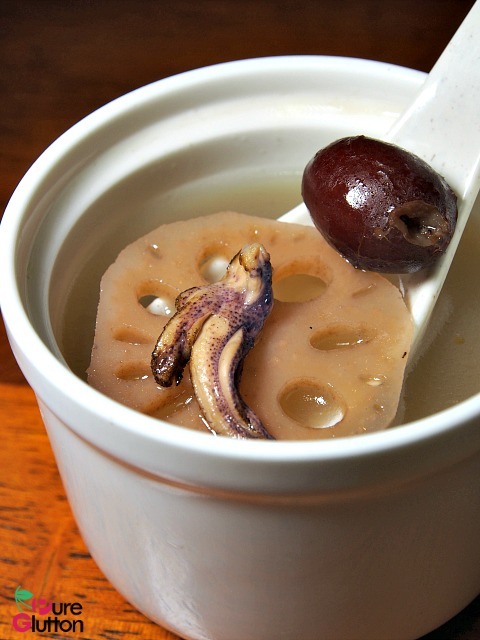 The heavier nuances of the nam yue blend in well with the crunchy lotus root and celery. 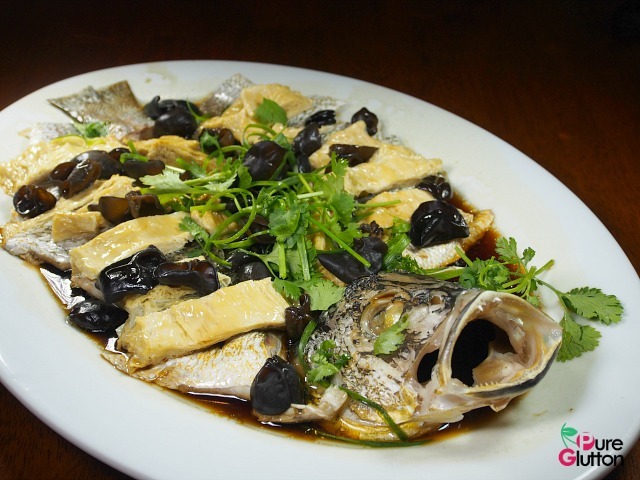 Braised Soft Pork Ribs and Steamed Fish with Beancurd have heavier flavours and definitely have to be eaten with rice, lots of it. The soft ribs have been braised for an hour with carrots and daikon, rendering them fork-tender and infused with the sweetness from the root vegetables. The thick delicious gravy will do you in as it calls for bowls of rice to go with it. 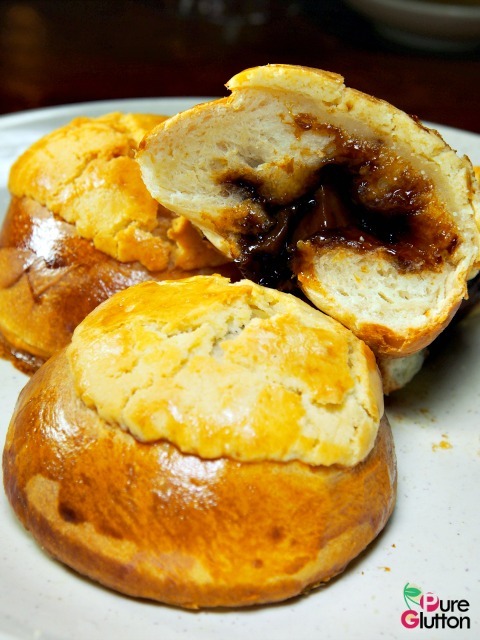 If you are lucky, you may just catch some Baked HK Polo Buns at Master Chef Kitchen. We had some which were just out from the oven and they were totally scrumptious. Crusty custard top, pillowy soft bun and fragrant cha siew filling – perfect combination, I would say. 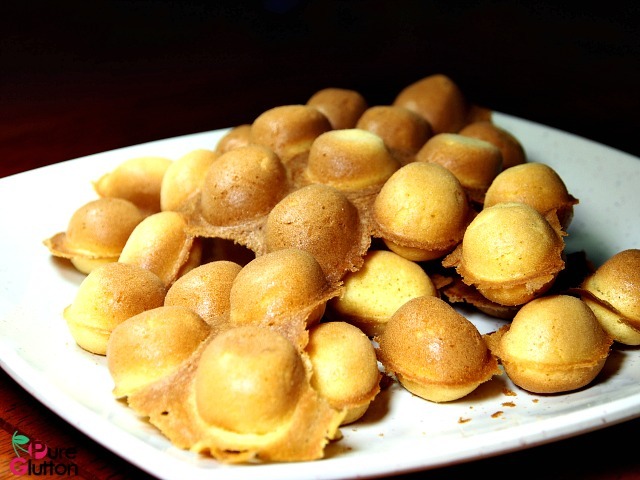 We couldn’t believe our eyes when we were served some Kai Tan Chai – those small balls of eggy sponge cake, commonly sold in the streets of Hong Kong. It’s certainly not easily available here. They were wiped off the plate almost immediately and we had to order another plate. Freshly made and served warm, we couldn’t have enough of these mini balls of eggy goodness. i visited this restaurant after reading your blog. The only passable dish was the roast duck. Rather disappointed and hope they improve. Their speciality mixed mushroom fish soup yucks! Oh dear, I’m sorry you didn’t have a satisfactory dining experience there. 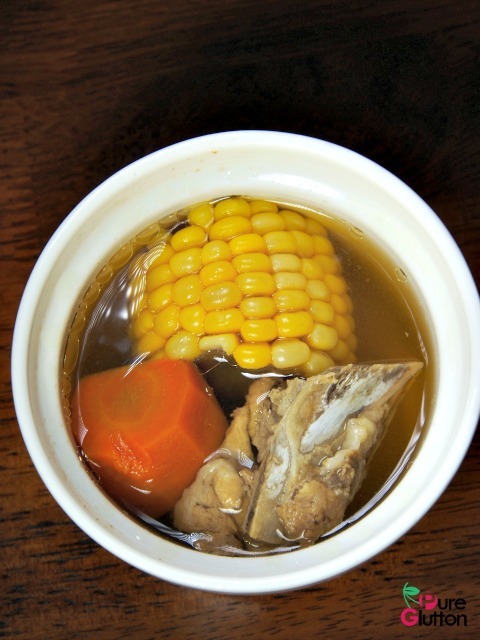 I haven’t tried that fish soup before. Anyway, will feedback to the restaurant.